Susanna Leonard Hill: Would You Read It #105 - The Superhero Rejects (MG) PLUS The August Pitch Pick! Would You Read It #105 - The Superhero Rejects (MG) PLUS The August Pitch Pick! So, that being explained, I would like to announce the winner NOW. Are you ready? Congratulations, Sue!!! Please email me so we can organize Iza signing and mailing you the book! And thanks to everyone for reading about Iza's wonderful book, bravely sharing your fears, writing some pretty amazing Muffet verses, and just generally joining in the fun! Now, before we go any further, I realize many of you are fainting from lack of proper nutrition, so let's get right to Something Chocolate, shall we? 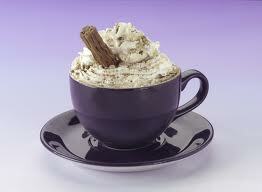 There's a nip in the air this morning, so I'm in the mood for a lovely mug of hot chocolate. How does that sound? Now that you're feeling fortified, let's give someone a chance to have their pitch read by editor Erin Molta! It's time for the August Pitch Pick! Free-spirited Karina wants to be a dancing star like her older sister. So she signs up for Indian classical dance, but her colorful attire, hip-shaking moves, and improvisations land her in hot water with Guruji, the teacher. Karina learns that to be a star, you just follow your heart, and do what you love. The golden egg that doesn't hatch creates quite a stir among the feathered friends on the farm. The Eggsperts are called and the Whisperers weigh in. In the end, Mother Hen must decide whether to follow their advice or listen to her heart. Overjoyed with her new-found ability to do a cartwheel, Queen Carina assumes the throne over her backyard kingdom of Cartwheelandia. Cheers and cartwheels explode through the crowd, but stop short with Carina’s heart-broken little brother. Carina makes it her mission to turn her brother's "I can't" into the confidence of a Cartwheel King. Roma Whitewood is charged with treason for trying to protect the only family he has ever known as they are murdered before his eyes at the hands of the King's Royal Army. The country Roma has always called his own, betrays him as his punishment is to be stripped of his citizenship and sent to work in the treacherous labor camps, where he meets Lyra and she opens his eyes to the truths of the world that he had been overlooking his whole life. All of the stories his mother told him as child, that he never even dared to believe, all begin to come true and Roma must face the ultimate decision: be oppressed or join the Uprising with Lyra. There's more to Lyra than she's telling him, but Roma can only put his trust in the hands of the girl who had been by his side every moment in the camps. She was going to escape, or die trying, and Roma was going with her, no matter the outcome. Please choose the one you think is best and most deserving of a read by Erin and cast your vote in the poll below by Sunday September 22 at 5 PM EDT. Today's pitch comes to us from Wendi. Wendi Silvano quit teaching in 1994, when her 3rd child was born. She has been writing for children ever since. She writes picture books, emergent and early readers, early chapter books and educational materials. Two of her picture books have won the Children’s Choice Award. She lives in Grand Junction, Colorado. You can visit her website at www.wendisilvano.com. This pitch is for her first MG book. The Pitch: Morphus is ashamed that he doesn’t have a normal, exciting superhero skill. All he can do is morph into lame objects like paperclips, rubber bands and light bulbs. And it’s particularly embarrassing when you are the brother of one of the most infamous graduates of ZITS (The Zapdor Institute for the Training of Superheroes). He and the other Superhero Rejects are relegated to practice their pathetic skills in the old gym in the basement when the villainous Scorpius attacks the school and puts everyone into a hypnotic trance… everyone that is, except the Superhero Rejects. Can they save the school and prove they are “real” superheroes too? Please send YOUR pitches for the coming weeks! For rules and where to submit, click on this link Would You Read It or on the Would You Read It tab in the bar above. There are openings in November so polish up your pitches and send yours for your chance to be read by editor Erin Molta! Wendi is looking forward to your thoughts on her pitch! I am looking forward to sharing a very fun book with you on Friday for Perfect Picture Books and also announcing the winner of Erik's very first published book, The Adventures Of Tomato And Pea, Book 1: A Bad Idea! If you haven't had a chance to read his interview and enter to win, there's still time! Hop on over HERE. Oh, that hot chocolate did wonders! Yummy. I already fell in love with Wendi's pitch in the first sentence - morphing into paper clips :) The only thing that made me stumble was the part, where everyone is hypnotized except the rejects. I wondered why they weren't caught. After another read and a few seconds thought, I realized the evil guy must not have found them in the basement - maybe smooth this thought-bridge. But the rest is great! Wendi's pitch is hilarious! It may be a little long, but it's so well written that I am not sure. I can't wait to read the book! Congratulations to Sue! And mmmm hot chocolate. It's a tad nippy here this morning too. What a terrific lot of pitches to choose from! I voted. And I enjoyed today's pitch. It was clear and concise so I have not advice for improvement. For me, it reminds me a lot of a younger version of Sky High. I like Wendi's pitch too! I do think it's a tad long. While the acronym ZITS is cute, I got a little bogged down at the point where you spelled it out. Perhaps a few tweaks here and there would streamline it. As for Wendi's pitch, the book sounds hilarious! Yes, I would read it. Based on other pitches I've read, it seems a bit long, but I really liked it! Maybe play with shortening these two sentences? And it’s particularly embarrassing when you are the brother of one of the most infamous graduates of ZITS (The Zapdor Institute for the Training of Superheroes). He and the other Superhero Rejects are relegated to practice their pathetic skills in the old gym in the basement when the villainous Scorpius attacks the school and puts everyone into a hypnotic trance… everyone that is, except the Superhero Rejects. yippee! a book from Iza - and to think I was gonna forsake the morning chocolate treat and just go do work! So - hard choices for the vote.... argh! they all sound good. As for the Superhero Rejects pitch - I love it! I would definitely read it. I love the ZITS school & love that there are a group of "rejects" - these are the folks I would bet my money on any day. Ages ago, when I coached youth soccer, I often created winning teams from the kids no one else wanted. You know, the "rejects". So, yes, Wendi - I would read your pitch. heck, send the whole book! First, I just ate a snickerdoodle for breakfast. Apparently, I've been reading your blog for too long! Great pitches to pick from! INSERT NAME. At ZITS (The Zapdor Institute for the Training of Superheroes), he and the other Superhero Rejects are relegated to practice their pathetic skills in the old gym in the basement. When the villainous Scorpius puts all the students in a hypnotic trance, he forgets about the Superhero Rejects. Can they save the school and prove they are “real” superheroes too? Thanks so much for your thoughtful comments for Wendi, Pam! And thanks for voting! It's going to be a tough one I think! Congratulations, Sue! And now you see why it's important to never skip you morning chocolate! :) Thanks for your comments for Wendi and for voting! Thanks so much for your very helpful suggestions for Wendi, Kirsten! Thanks Kirsten. I did feel like my pitch was a tad long, so seeing another way to go at it helps! Thanks for the suggestions... very helpful! Thank you Iza! I have always loved your books. Yep, I'd read it; it sounds like fun. I agree with the previous suggestions to cut and combine the first few sentences, to tighten the pitch. need to write a review. Voted - good luck, all! All Morphus can do is morph into lame objects: paperclips, rubber bands, light bulbs - UGH! And it’s particularly embarrassing that his brother is an infamous graduate of ZITS (The Zapdor Institute for the Training of Superheroes). But when the villainous (try something more unique - nefarious?) Scorpius attacks the school, Morphus and the Superhero Rejects may just prove they are “real” superheroes too! I wasn't too sure about this one until I got to the part about the only hope being the Superhero Rejects. That is a fun premise and one a lot of people would enjoy. The pitch should be trimmed and tightened, but yes, I would read this one. Thanks for your help Julie- I like your ideas! Wendi, this pitch is fantastic! I would read it. In fact, I can't wait! The only thing I would change is perhaps the part after you explain ZITS. That next sentence is a looong one. Does training in the basement save them from the hypnosis? Is there a way to include this information without quite so many words? Also, I'm not a big fan of ending with a question. As I said, though, I would (will:) ) read this book. Good work! I love this! I would definitely read it. The book sounds like a fun read! Thanks so far, everyone, for your help. It's wonderful to have other writers to bounce this off of! You've all been helpful! I love the subject matter of your pitch Wendi. If I was a middle grader the pitch would certainly grab my attention, a group of reject superheros saving the world is a great concept. I am not sure about length for pitches on MG novels, but it seemed fine to me. Just maybe consider the mention of the brother in there, is it really necessary? And the way it reads now, the 'He' in the fourth sentence could be interpreted to be about the brother where I think you want to be focusing on the MC. But Yes, I would be reading it! Yes, mostly because I love super-heroes and plots like this. I would love to read this book as a regular MG, not an early MG. Congrats Ms. Heavenrich! I would definitely read Wendi's book based on the pitch. I do agree that you can tighten it and improve it. I don't have any new advice, Wendi. You've been given excellent advice in previous comments. This is such an appealing premise for a story! Well, I don't think there's anything I can add to what's been said already--LOVE this premise and would definitely read more based on this pitch. But (come on, you knew there had to be a but) I wouldn't use "lame." Maybe switch that out to "ordinary"? I know it's a common expression with kids and we all know what you mean, but it still feels a bit politically incorrect to me. Still, good stuff and good luck! Thanks so much, Cathy! It's so helpful how different people notice different things! Thanks to everyone once again... I have received only wonderful advice. And thanks to Susanna for hosting this process! You rock! I'd read it! I'm sorry I couldn't add anymore to tighten it that hasn't already been said! Good luck, Wendi! I do have the darkest circles under my eyes. I just have to look at Faith's story. Then to bed I go! (I'll be off line next week for a time. I found out we have to stay Thursday instead of getting to come back home.) What will my horsies do with me??? Congrats to the winner. I'm certain they'll love Iza's newest book.